If you love being in the middle of the action, there’s no better place to search for apartments for rent in Dallas than Uptown. Living in one of Dallas’ most walkable neighborhoods means being just a few steps away from the city’s most popular restaurants, bars, cafés, fitness studios and luxury boutiques. Uptown boasts a variety of luxury, upscale apartment types, from mid rise to high rise. One of the perks of apartments in Uptown Dallas is direct access to the Katy Trail. Uptown Dallas apartments will appeal to young professionals who enjoy a buzzing social scene and high-end amenities. Many of the apartments in Dallas have been built within the last few years. Neighborhood highlights include a brand-new Whole Foods Market, the McKinney Avenue trolley and Klyde Warren Park. There are tons of new one & two bedroom apartments in Uptown Dallas that are offering great specials. Contact us today, we are the top Uptown Dallas Apartment locators! When you’re ready to shop, the West Village District hosts a carefully curated collection of independent boutiques. This outdoor enclave is known for its alfresco dining options & open-air movie nights. 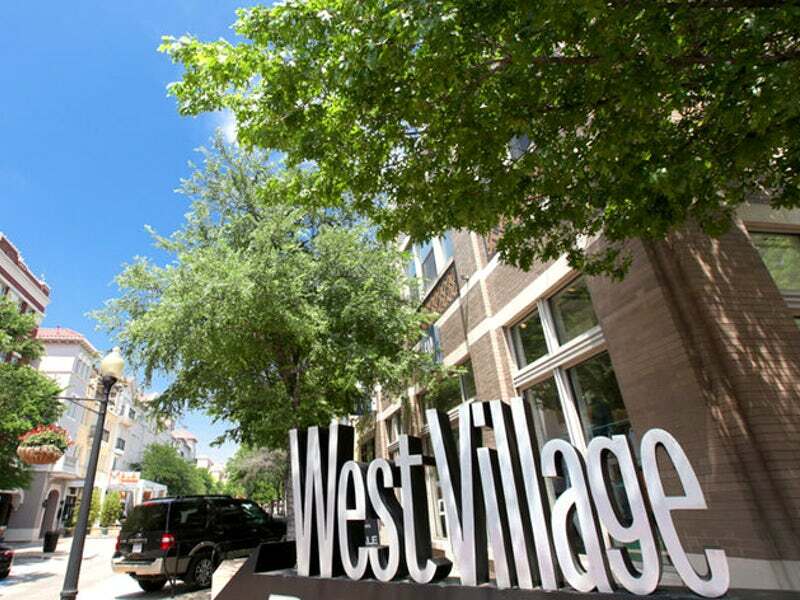 West Village Apartments offer the best of luxury amenities in the heart of Uptown. Shop: Nicole Kwon, Q Clothier, Abi Ferrin. The small side streets in the landmark district of the State Thomas Dallas area give it more of a laid-back, neighborhood vibe compared to other pockets of Uptown. The mix of Victorian townhomes & apartments gives this unique area a residential feel amongst a city of concrete. It’s a great area to take man’s best friend on a stroll in Griggs Park or head to the Nodding Donkey to catch a game. All our Uptown Dallas apartment locators are licensed Texas Real Estate Agents & a free service to use. Using an apartment locator in Dallas, TX will save you save you time, money & stress. Let us do all the calling, emailing, and scheduling appointments. Legacy Locators are Texas Relocation Experts specializing in the DFW area. Rest assured you'll be working with an apartment finder that lives and works in Dallas, Texas.